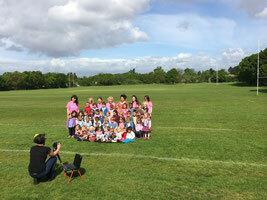 This week all the children got together for this years' class photo. Thanks to everyone who stayed behind and had a coffee next door. I know there were plenty of restless siblings by the end but hopefully it was all worth it! Individual photos have already been sent home inside the book bags so do take a look and see if you want to make an order.